This homemade Sloppy Joes recipe makes the best Freezer Meals-Sloppy Joes recipe ever. This Freezer Meals-Sloppy Joes recipe is the best Sloppy Joes recipe made from scratch. You can make it ahead and freeze it. Or you can cook it in the crock pot or in a skillet on the stove. It’s up to you what to serve with these homemade sloppy joes. I like to make life easy and serve with some chips and pickles. You can serve them with this crock pot macaroni and cheese recipe which is a perfect sloppy joes side dish recipe. 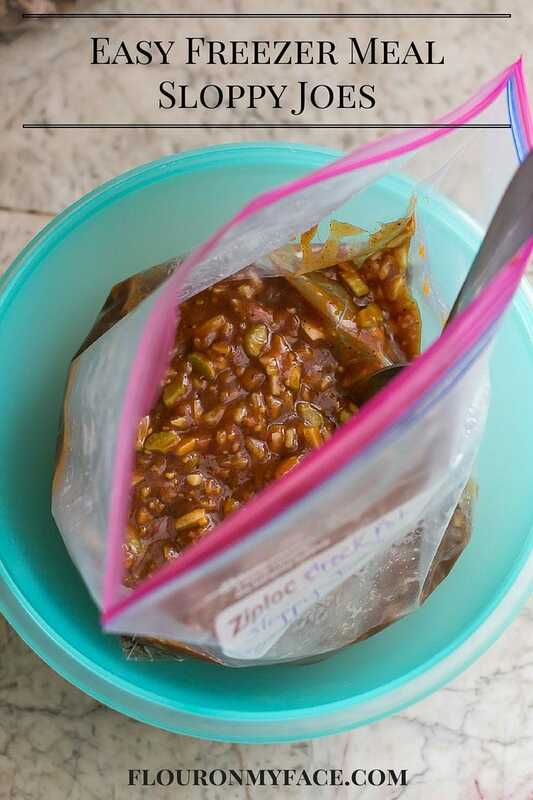 Freezer Meals Sloppy Joes can be cooked in the crock pot or in a skillet on the stove. Best homemade Sloppy Joes recipe ever. Remove the frozen Sloppy Joes from the freezer and thaw overnight in the refrigerator. Heat the freezer meals-sloppy joe mix in a skillet. Bring the mixture to a simmer. Simmer for 20 minutes or until the onion and celery is tender. To cook the Freezer Meals Sloppy Joes in a crock pot please see my Crock Pot Sloppy Joes recipe. 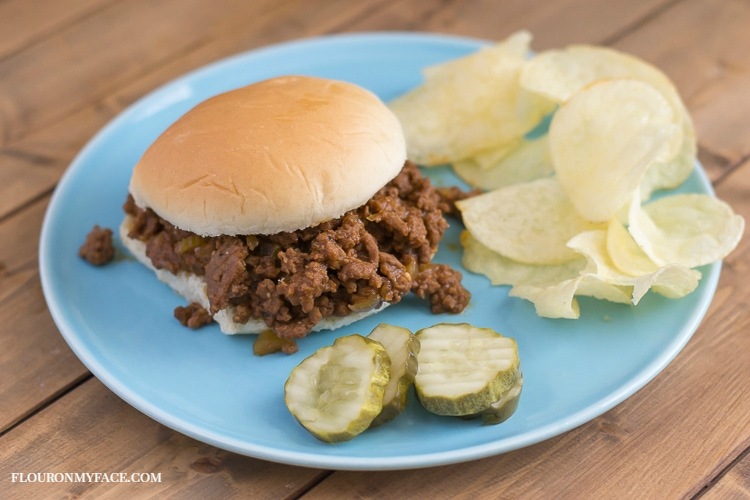 If you loved the Freezer Meals Sloppy Joes recipe head over to my Freezer Meal page for more family friendly freezer meal ideas. 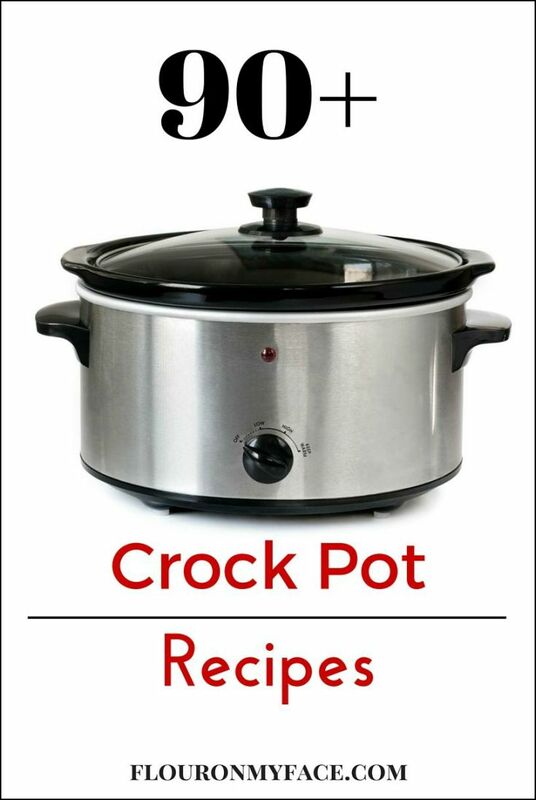 If you love easy crock pot recipes head over to my 90+ Crock Pot recipes page. I’m happy you enjoyed the recipe. Thank you so much for sharing your tips for turning the leftovers into a freezer meal. Its genius!